Our final round-up, before we talk about that hidden game, takes us one step up from secret artwork and into the realm of hidden animations accessed by plugging NGPC games into its humble monochrome brother. While it doesn’t quite one-up Match of the Millenium’s gallery in terms of content, The Last Blade does at least give NGP owners a sneaky preview of what they are missing out on as a little animation featuring in game graphics plays to the backdrop of a jaunty soundtrack. This probably proves that the game could have run on the NGP system and was simply locked off to try and encourage people to upgrade their hardware. Like Big Bang: Pro Wrestling, Delta Warp is a Japanese game that has been entirely translated into English. Unlike the aforementioned grappler, this appears to have been a stylistic choice rather than the game running in dual language modein anticipation of a western release. 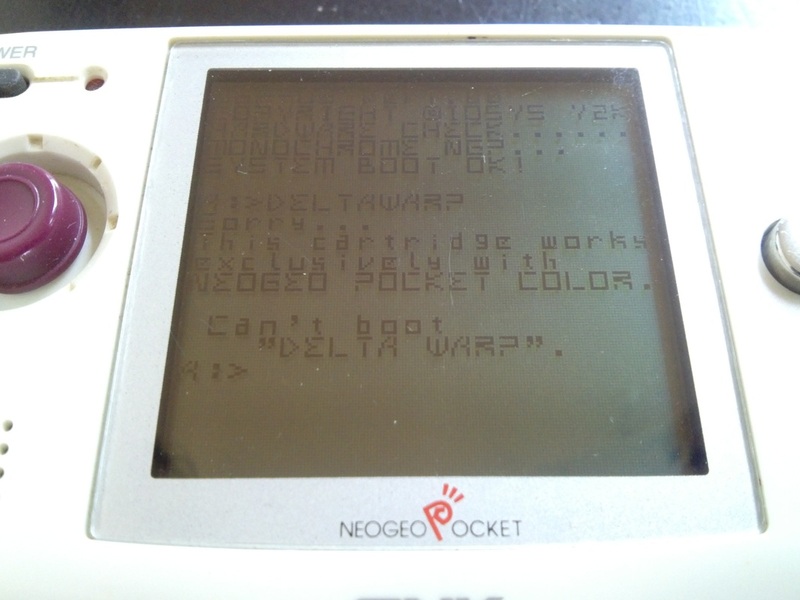 It also has perhaps the most humorous of the ‘Not for this system’ style messages that these games carry, with a quirky little animation resembling a primitive computer operating system trying to boot and then crashing after “detecting” the wrong hardware. The game relies on colour for it's puzzles and so it was certainly the correct decision to lock it off rather than frustrate monochrome users. Well, the time has finally come. Let’s move on to the most exciting part! An actual hidden game that can only be played with a particular NGPC cart and the original monochrome system!